In Section II below, I also found You Tube versions with lyrics of many of these songs (but not all). You can use these lyric-plus-song videos for church convocations at home. I also provide in Section III Yahweh-centric songs in English. Section IV are songs worth an "Honorable Mention" for personal spiritual enjoyment but probably do not belong in a worship-service. Big Daddy Weave "Only Jesus"
Casting Crowns "Jesus Friend of Sinners" - "heart divided" now turns to Jesus / "break our heart for what breaks yours"
Christine Young "I am Forgiven" because "my King would die for me"
Matt Redman "Blessed Be The Name of the Lord"
Newsboys "Born Again" - a repentance-based experienced dramatically sung! Faith Hill "There Will Come A Day"
Chris Sligh "Only You Can Save"
Sadit Hadad "S'hma Israel" (Hear Oh Israel) - Hebrew stirring modern Psalm in worship to Almighty. Click the blue title, and this will bring you to our webpage with You Tube links and Hebrew transliteration for sing-along, and English translation. 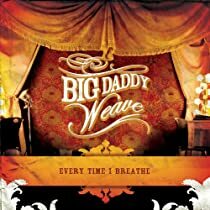 Big Daddy Weave - Only Jesus You Tube without Lyrics (June 2014) - so start it, and then read lyrics here. Give Thanks to Yahweh -- YouTube wonderful! (Designed for Shabbat reading). Inspiring Songs I collected -- songs that do not mention God, but whose themes / words are uplifting spiritually. I love, for example, Stood Up by Fine Frenzy -- an encouraging song when right now the movement to defend Christ's status against Paulinism is small -- perhaps just "two of us," but how the battle will be won with love and grace to our present foes. While they fight with ships they send out to destroy us, we will win with weapons not made of steel and concrete. That is the great message of that song. "In kindness there is strength," it sweetly ends.